It’s cold outside and I’m keeping warm with some new and some (rediscovered) old favorites. Besides from working I have spent January (so far) with trying to get healthy again, reading books, drinking tea and a lot of vintage shopping. 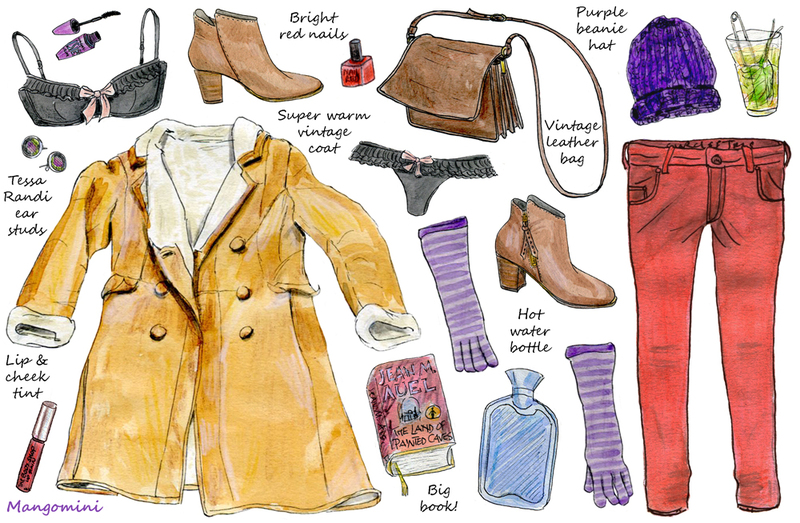 Wearing: underwear, H&M – boots, Steve Madden – bag, vintage – beanie hat, H&M – ear studs, TessaRandi – coat, vintage – skinny jeans, Circle of Trust. The gloves are so old I don’t remember where I got them.